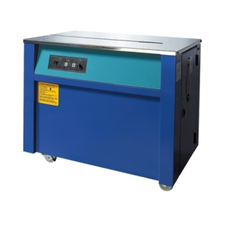 Strapping Machine offeredcomes in model options of Table Top KEPL 101H with minimum strap size handled of 60x30mm. Coming with strapping speeds (seconds) of 1.5 sec/strap, these offer excellent performance and requires low maintenance. With the system designed to deliver reliable strapping solutions, it also comes with operator friendly console and is suitable for packaging of cartons, hard packages and all types of articles. It also finds use in chemical, food and other industry sectors and is designed to improve productivity levels. We offer a wide range of high quality Fully Automatic Strapping Machines to the esteemed clients, as per their specific demands. These machines are designed and fabricated with the aid of cutting-edge technology and machinery. Moreover, our quality controllers check these machines on certain well-defined parameters to gauge their flawlessness. 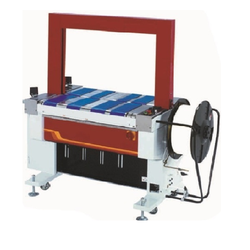 Offered by us is a supreme quality range of Semi Automatic Strapping Machines to the clients, as per their demands. 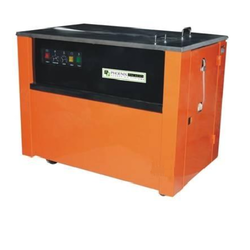 These machines are designed to cater to the varied requirements of different industries and sectors. Moreover, we offer these machines in standard as well as customized forms to meet the market demand in an efficient manner.